Rory is still putting the shove on Tiger…and now he’s taking it off the course. While Rory McIlroy has assumed Tiger Woods’ long-held spot as the No. 1 player in the world, it seems he’s taking Tiger’s gaming crown as well. McIlroy has taken up the mantle as a video game star since Tiger’s other long run, as the face of EA Sport’s PGA Tour game, has also expired. Tiger has held that spot since signing a long-term deal with EA Sports in 1998. That contract expired in 2013. 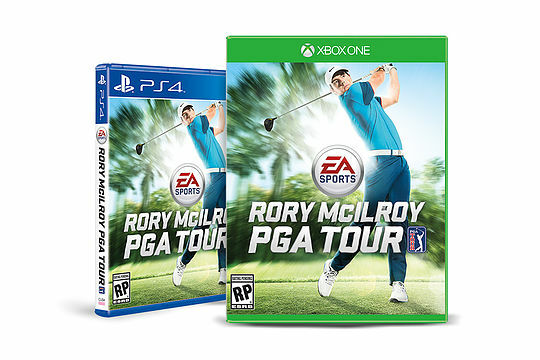 EA Sports recently leaked a picture of their new game’s cover…and it’s Rory as the new poster boy. Certainly McIlroy is the next big thing in golf since Tiger and next month will attempt to annex the only major to elude him so far, the US Masters. Should McIlroy succeed, he would become just the sixth man to win all four of the game’s modern majors, the Masters, US Open, British Open and US PGA Championship. Meanwhile, at the age of 39, Tiger has his hands full just trying to add to his imposing record. He has been on a self-enforced break for the past month. Woods hasn’t won a major title since 2008 after winning the first of his 14 majors, the Masters in 1997. He is chasing Jack Nicklaus’s record of 18 majors but has been troubled by leg and back injuries in recent years. Reports suggest Woods was hoping to be fit to play the Masters next month in a bid to add to the four green jackets he already has in his wardrobe.